Designed specifically for development of custom USB interfaces like USB-to-parallel converters, USB-to-SPI converters etc, for USB controlled devices. PE2450 is a hardware platform for development of custom USB (Universal Serial Bus) PC-to-device interfaces and controllers. 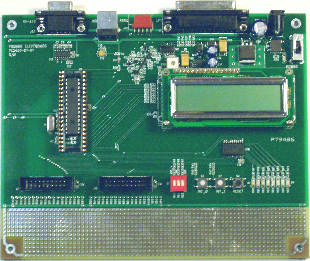 The generic design of PE2450 board, in-system programming feature and the spacious prototyping area makes it an excellent development system that can be used to design a variety of interface and control devices. 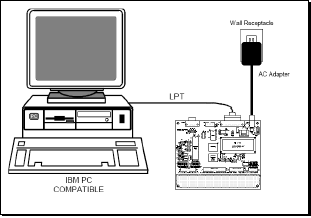 The in-system programming interface allows PE2450 system to be used as a programmer for supported PIC microprocessors. Compatible microprocessors: PIC18F2450, PIC18F2455, PIC18F2550, PIC18F4450, PIC18F4455, PIC18F4550. LCD 16 x 2 character display (PIC18F4X5X versions only). 8 LED port state indicators.